Today The Cambridge has announced a strong set of financial results reflecting the Society’s successful investment over the last few years in developing its range of products and services available to its customers. Despite the challenging economic conditions, The Cambridge has significantly grown its mortgage balances (up 16%) and funding balances (up 15%) with both of these breaking Society records and outperforming the market. The Society has lent £220 million (52% increase on 2011) whilst delivering a pre-tax profit of £0.9m in 2012. Stephen Mitcham, Chief Executive at The Cambridge says: “I am delighted to report a record year for the Society in 2012 as we continue to serve people in our heartland. “We have been making further enhancements to our products and services and continue to focus on our customers. We are continually improving the ways in which our customers can do business with us, giving them more choice and ensuring that they can deal with their finances in a way that suits them. 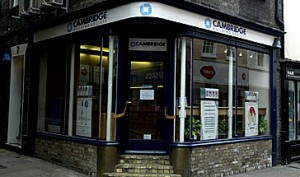 The Cambridge maintains its strong commitment to the local community. During 2012, staff from the Society volunteered over 2000 hours of their own time to help various charities and community groups and the Society donated £30,930 to local causes.